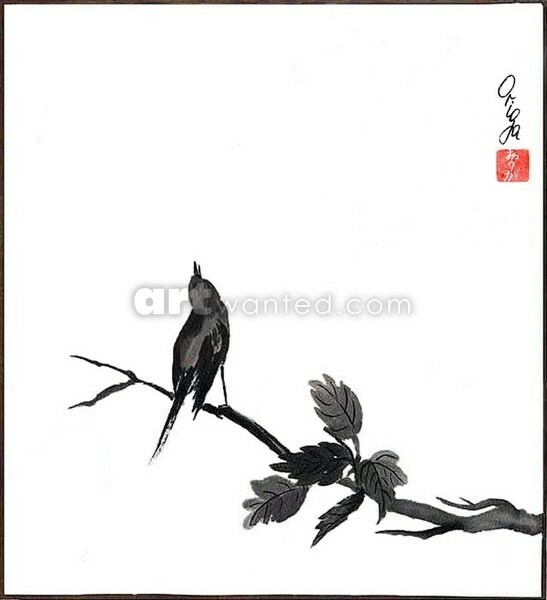 Sumi ink, Shiki-shi rice paper (high quality paper). Bronze frame on the paper. Mounted. Private collection.